Salvia greggii is a popular, usually evergreen sub-shrub growing natively in rocky soils in Central, West and South Texas, and Mexico. It has small, dull pale green, glandular, aromatic leaves. The normally red-flowered species also has white and pink forms and many named cultivars with slightly larger or smaller, rounder or more elongate leaves, varying growth habits from very upright to sprawling, and a wide range of colors in addition to those mentioned above. Pale yellow, orange, salmon, fuchsia, purple, red-violet, burgundy, some with white variegation of leaves or flowers are commonly available. There are also numerous named hybrids with Salvia microphylla and other species, which are often referred to as "Salvia greggii types". 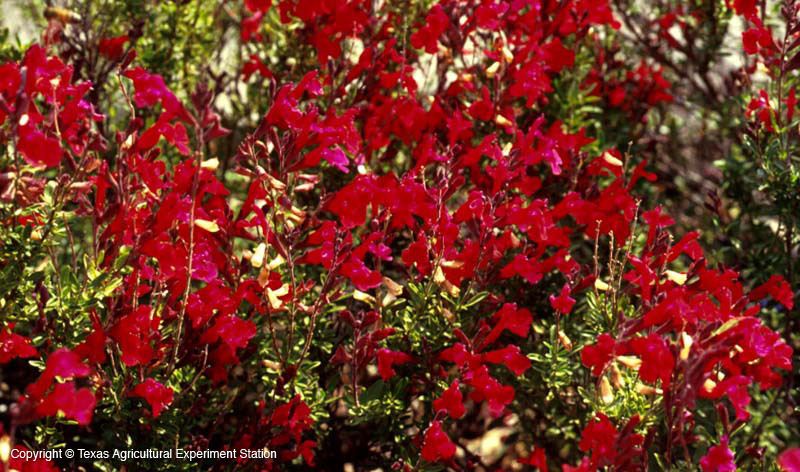 It is valued for its adaptability to garden soils, its very long blooming season and as a magnet for hummingbirds. 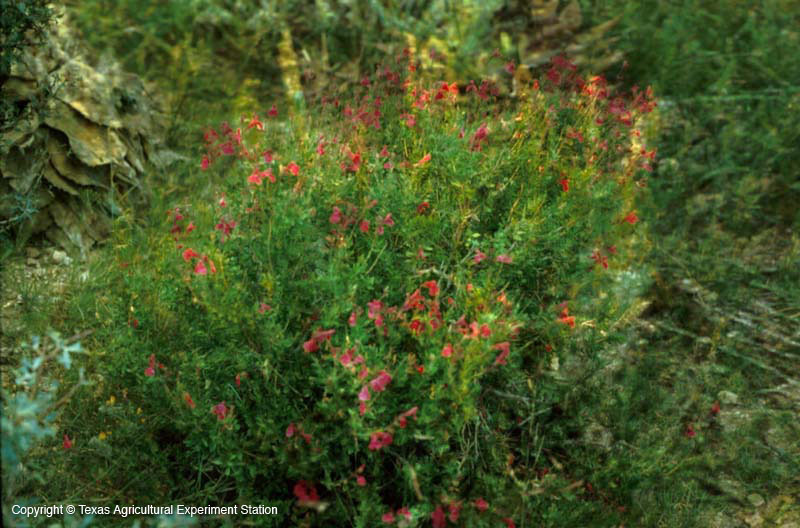 Autumn sage is usually not winter hardy in Wichita Falls and the High Plains of Texas. In a garden setting, prune back to 4 inches in late winter and again by one half in August to maintain a tidy shape, or allow to grow and spread or sprawl for a more natural appearance, with occasional pruning of old wood.